The ASSERT Empowerment and Self-Defense curriculum is a powerful training course designed for living, not just defense. As seen on Nashville’s ABC Affiliate, WKRN News 2! This is not a Martial Arts program! ASSERT Self-Defense has a completely different focus and is geared toward the whole family! 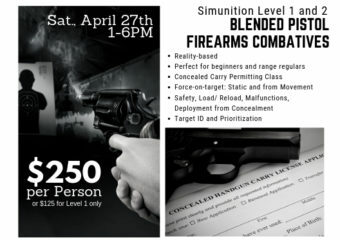 Learn to confront the faceless violent criminal, home invader, carjacker, and kidnapper as well as the acquaintance, friend, or family member that becomes manipulative and potentially violent or dangerous. Maintain your composure and clear thinking even under the effects of Adrenaline. ASSERT Empowerment and Self Defense Courses are centered on the development of the Mind-Set in order to employ the Skill-Set. Because our program has been developed with the help of Mental Health Professionals, Self Defense Industry Leaders, Legal Experts, and extensive research into Department of Justice, Department of Defense, and Law Enforcement statistics, procedures, definitions, and training, we have been able to create a system that allows all students, of any age, gender, and physical capability, to effectively utilize the unique techniques and materials presented during our course work. That is what makes ASSERT Empowerment and Self Defense different. Empower You to Live Without Fear. The program has been implemented in in-patient eating disorder clinics, at-risk youth groups, private schools and universities, social organizations, and family groups with incredible success, as a means to heal, improve communications, empower participants, and help group members bond while teaching effective, simple self defense techniques that anyone, at any age, and any physical ability can perform. For more information, visit the ASSERT Official Website: www.YouCanBeAssertive.com.